You are currently browsing the Speed Factor Racing blog archives for October, 2013. ZERG Industries Hood Dampers IN STOCK! Tired of holding up your hood or scrambling to find the hood prop? ZERG Industries Black & Carbon Fiber Hood Dampers are IN STOCK! Available for 92-00 Civic / 94-01 Integra, 06-11 Civic & 00-09 S2000. 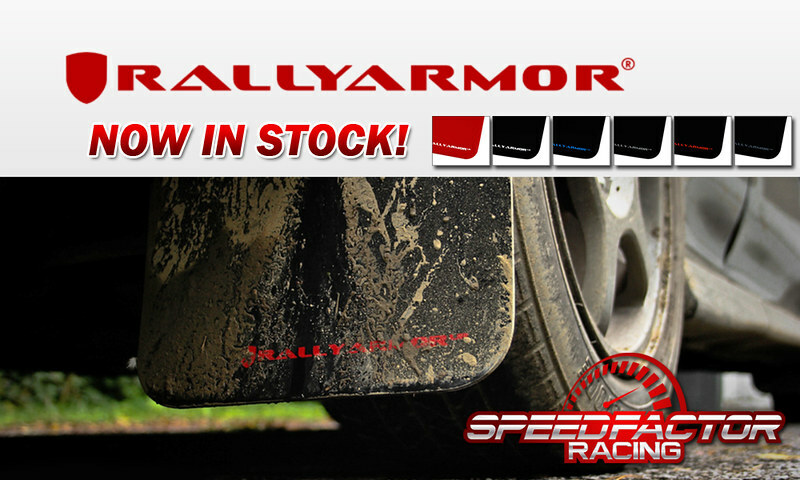 Rally Armor Mudflaps Now Available! Available for Mitsubishi Lancer / Ralliart / Evolution, Subaru Impreza / Forester / BRZ and MUCH MORE! Stop by for pricing and to check out our inventory today. Protect your car from the elements! 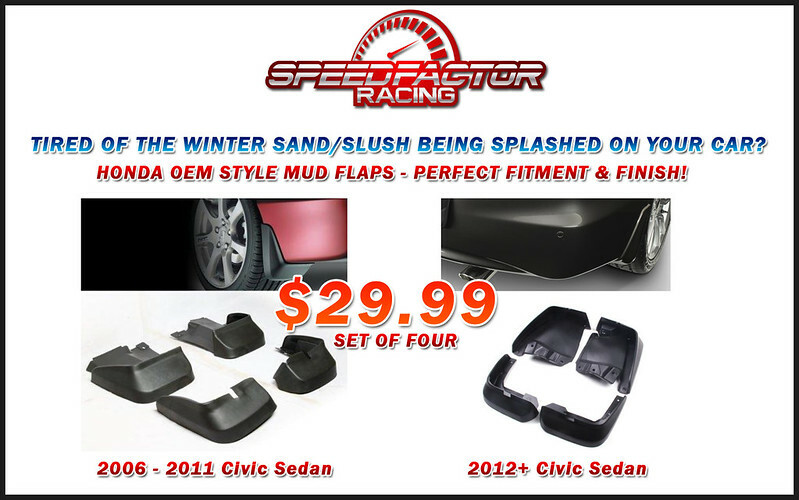 Honda OEM-Style Mud Flaps are now available for 2006-2011 & 2012+ Civic Sedan! It’s Getting Colder. Time For Winter Tires! It’s that time of year again and time to start thinking about your safety on the road. Come visit us at the shop to find out all about winter tires and the differences between them and all-seasons. 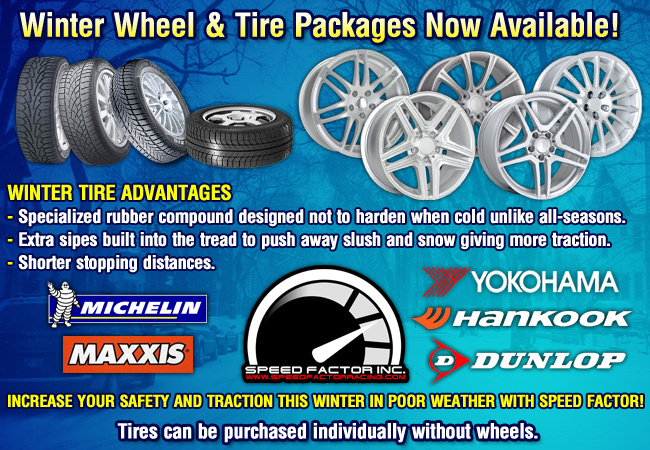 We offer competitive pricing on all of our winter tires as well as winter wheel/tire packages. Give us a call or stop by the shop!